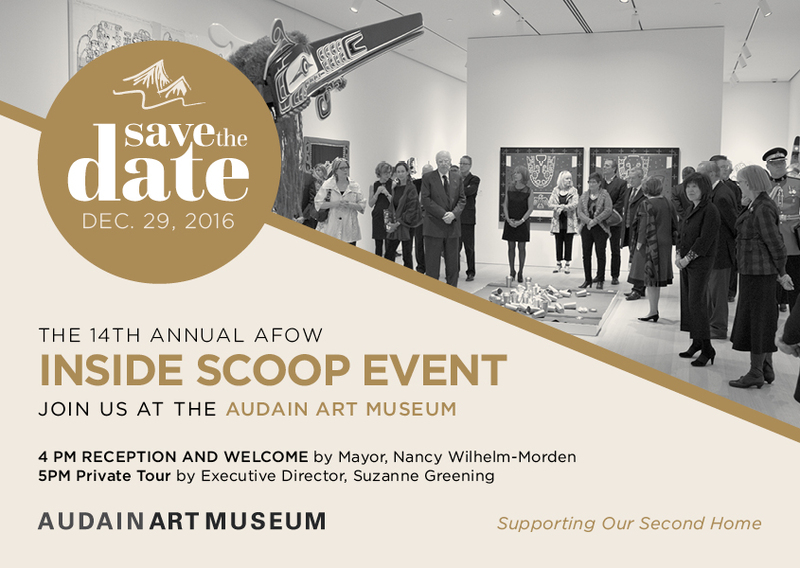 *Audain Art Museum for the permanent endowment of the museum’s foundation. 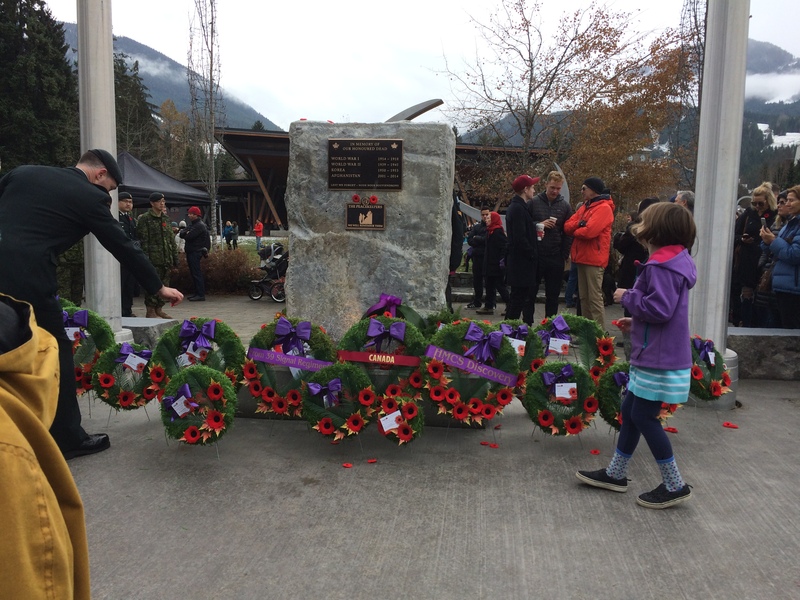 *Whistler Remembrance Place to build new home for the Cenotaph to provide a prominent and honourable location for this monument. 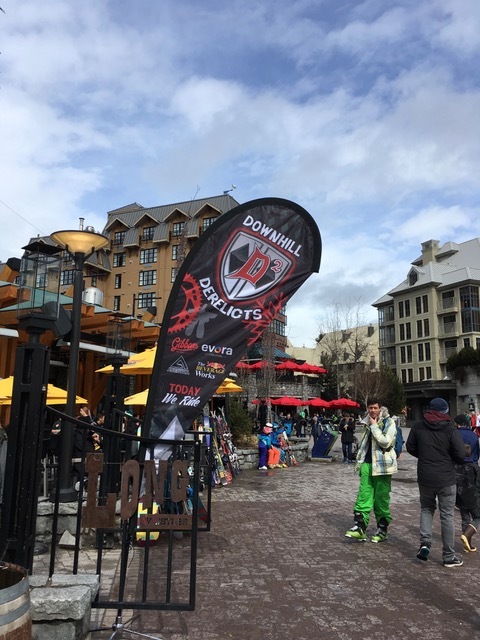 *Whistler Mountain Ski Club supporting the USA Team at the 25th Annual Whistler Cup, one of the largest international children’s ski races. 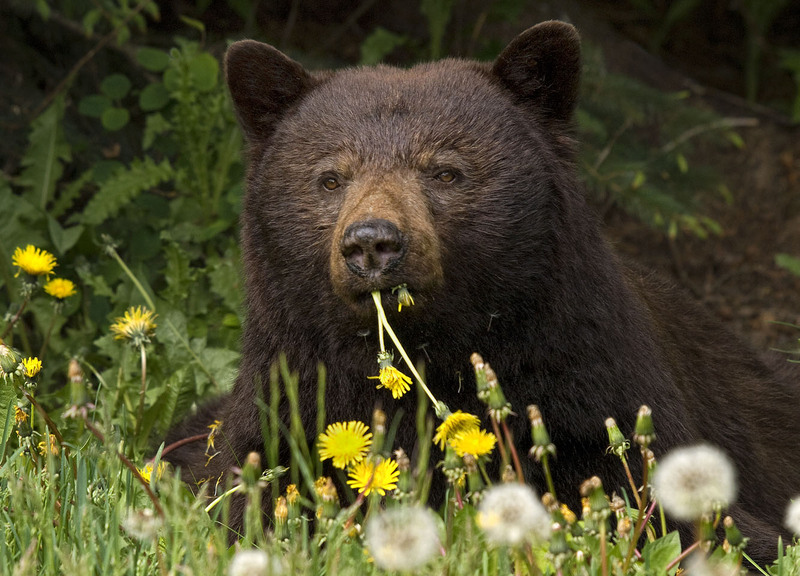 *Whistler Animals Galore for installation of stone fence around dog run. *Whistler Community Services Society for their Food Bank and outreach programs. *Spearhead Huts society for the Kees and Claire Memorial hut for building supplies. *Whistler Adaptive Sports Program for a highly specialized adaptive mountain bike for individuals with low mobility. *Whistler Search and Rescue for equipment. With your assistance we can continue to make a difference. Please give serious thought to advancing the good work of AFOW. To donate by check or credit card please visit http://www.afow.org/donate. 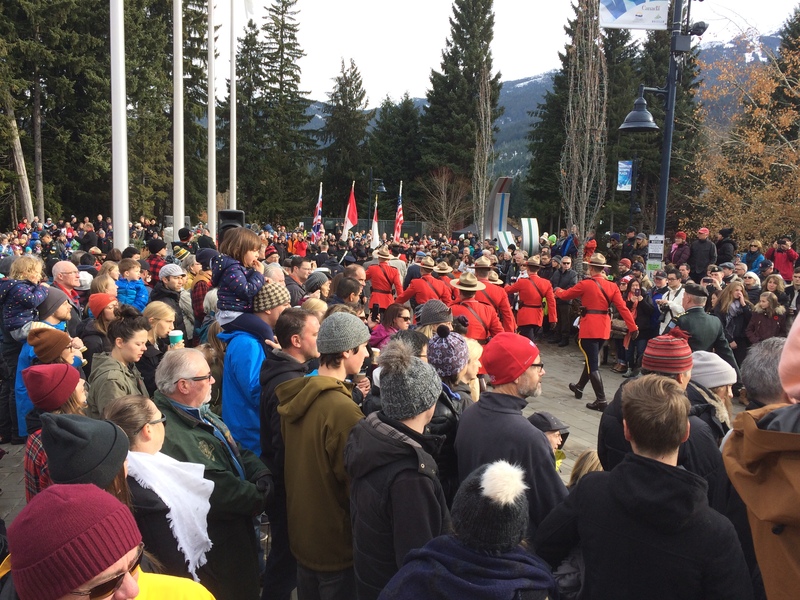 On Saturday, November 11, the community of Whistler gathered at the new Whistler Cenotaph location in Whistler Olympic Plaza to pause, reflect and remember. Contributions from AFOW helped make this new prominent and scenic location possible. It was reported that 1500 members of the community attended. As many other Americans, when DJ Taylor and Jeremy Town first visited Whistler they fell in love with it and made a pledge they would come back. This was in 2003 and they have returned every year and their number has grown to 21 people. 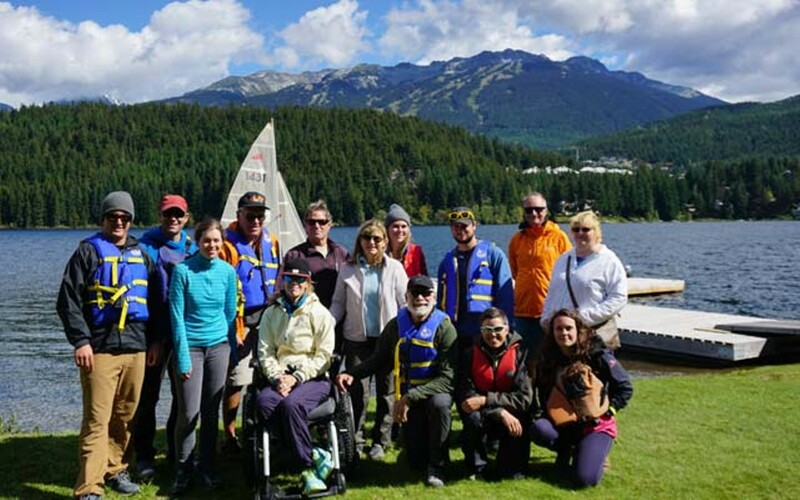 This year they decided to give back to the Whistler community through AFOW and selected Whistler Adaptive Sports Program, which offers programs in a variety of sports, including paddling, rowing, skiing, snowboarding and cycling to kids and adults with different abilities. They launched a campaign on PledgeIt (pledgeit.org/for/downhillderelicts) that allowed donors to offer a penny per 100 vertical feet skied. The campaign has raised $20K for WASP. 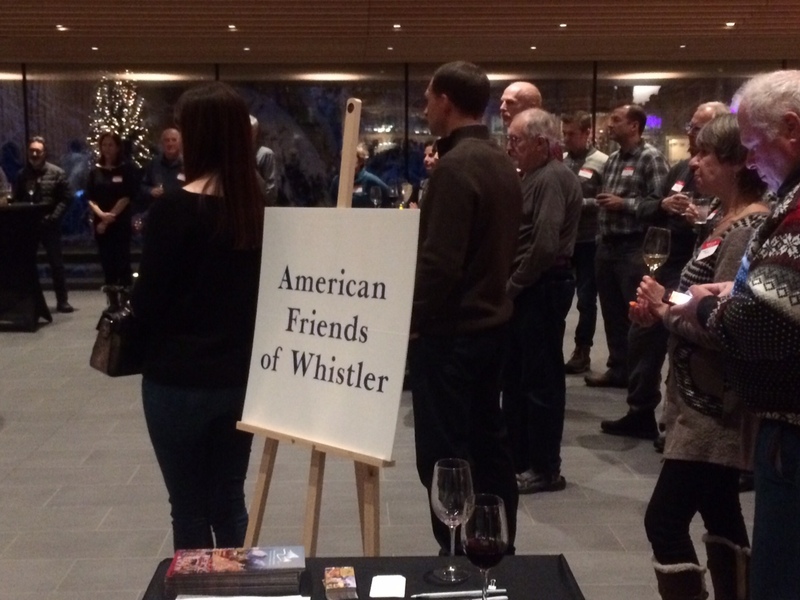 American Friends of Whistler (AFOW) is pleased to announce the following grants have been awarded to local groups to support their projects which continue to make Whistler an amazing place to live. Whistler Animal Galore (WAG) for installation of a stone fence around the dog run. Whistler Community Services Society (WCSS) for the Food Bank and for the Birth, Baby and Beyond program. Whistler Adaptive Sports Program (WASP) for a highly specialized adaptive mountain bike for individuals with low mobility. 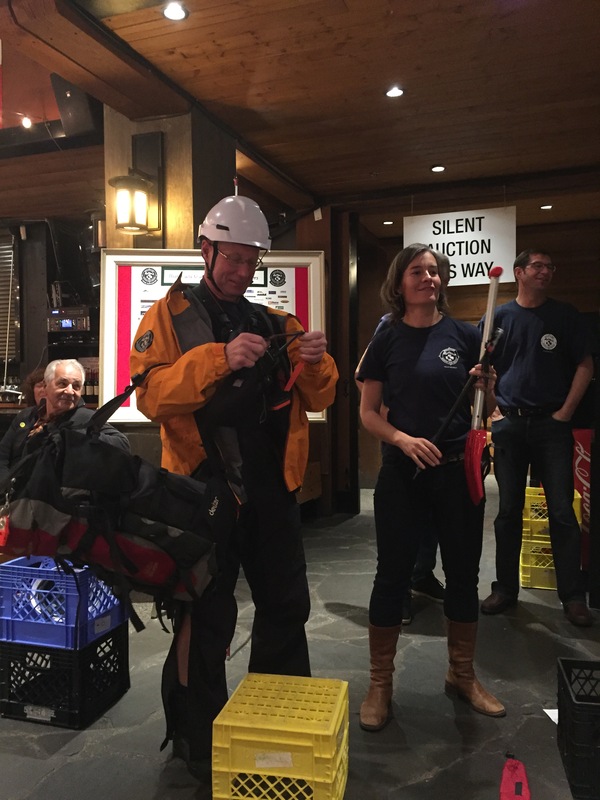 Whistler Search and Rescue (WSAR) for equipment. Spearhead Huts Society for building material. Whistler Learning Centre (WLC) supporting their programs. 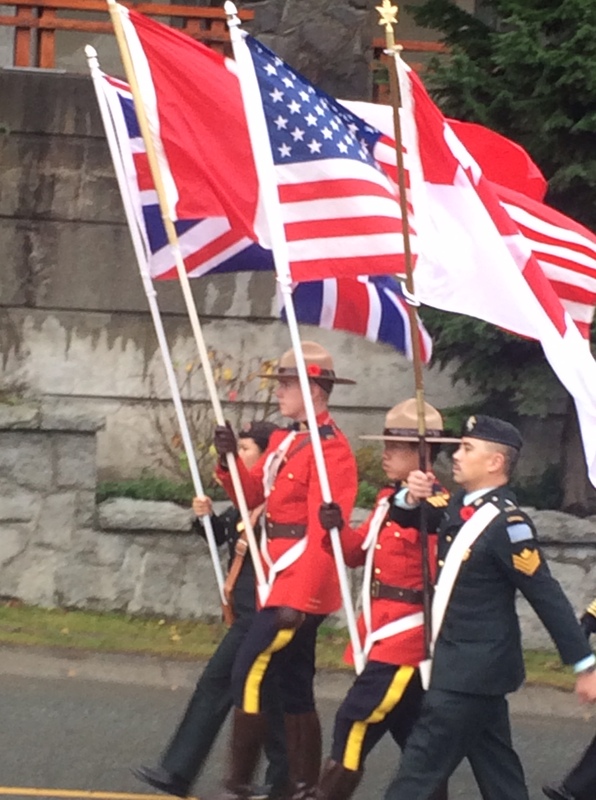 Community Foundation of Whistler (CFOW) matching funds from Canada 150 program. President, Gary Raymond, has extended his congratulations and thank you to all involved, summarizing the above grants totalled approximately $91,000 when including matching grant funds. Equipment fund raising at Search and Rescue event. 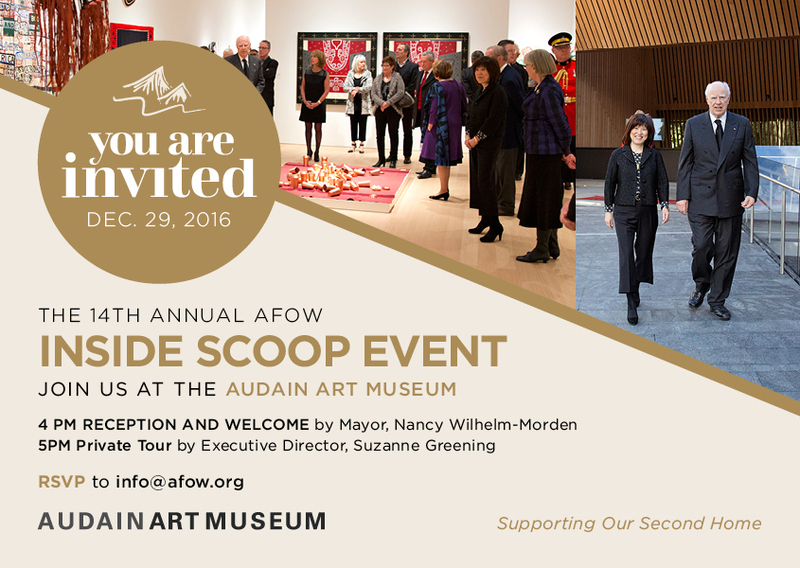 The AFOW 14th Annual Inside Scoop event was held at the Audain Art Museum…during an epic snow storm! 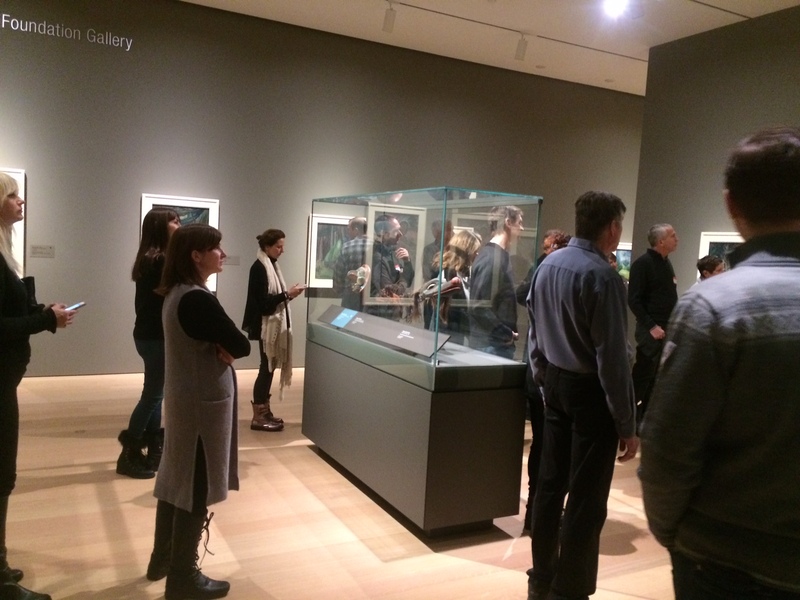 Thank you to the amazing staff at the Audain Art Museum(http://audainartmuseum.com) for helping to make our evening successful. Thank you to Whistler Cooks Catering (www.whistlercooks.com) and Adele Campbell Fine Art Gallery (www.adelecampbell.com) for providing food and drink. Thank you to all the others who help make this event happen. On Tuesday, November 29, charities, families, businesses, and foundations come together to celebrate generosity. American homeowners in Whistler can give back to support the community through donations to AFOW, a U.S. registered 501(c) (3) non-profit organization which then distributes funds to Whistler charities. Since it is a U.S. charity, your AFOW contribution is U.S. tax deductible — just like one in your local community. 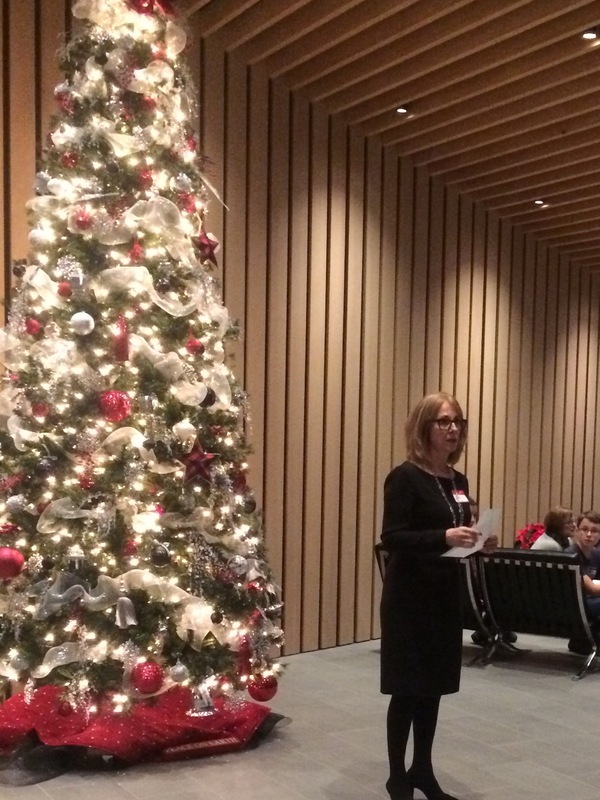 Since 2004, AFOW has provided more than $2 million in financial support to registered, non-profit organizations, providing benefits to the Whistler community in the areas of health and human services, culture and arts, the environment and outdoor recreation. Audain Art Museum for the permanent endowment of the museum’s foundation. Whistler Off Road Cycling Association for trail building. BMX Society for a new track in Whistler. Whistler Arts Council for program development. Whistler Community Services Society for their Food Bank and outreach programs. Spearhead Huts Society for the Kees and Claire Memorial backcountry hut. With your assistance we can continue to make a difference. Please give serious thought to advancing the good work of AFOW. Our website http://www.afow.org covers the necessary gifting details or feel free to email us at info@afow.org and we will assist you. From October 22, 2016 – January 9, 2017 Learn about the rich traditions and personal objects from Japan’s most famous Geisha, Ichimaru.